We continually work with individuals and businesses to help sponsor our Temporary Shelter for Individuals and Families and our Adopt a Homeless/Distressed Family programs. 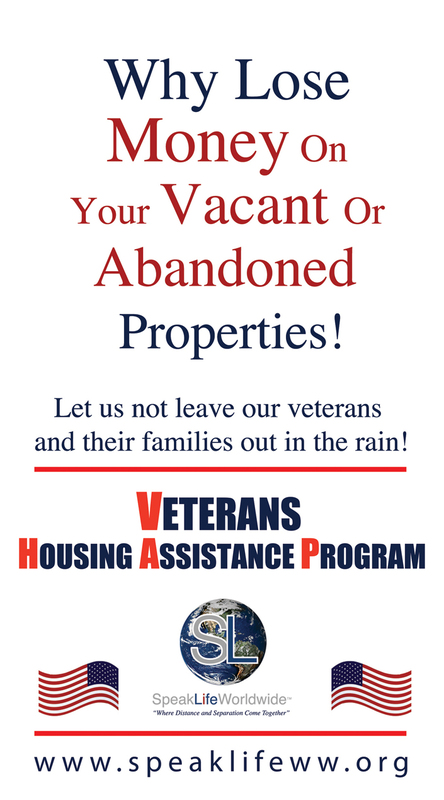 These programs assist persons in finding a place to call home. Our focus it to immediately place families seeking a new beginning into quality, affordable housing and provide the necessary tools in guiding them to home ownership. We seek to make available pristine rental properties and insure superb maintenance of our properties while guiding our renters with a plan to become home owners. Despite high foreclosures and economic downturn, our continuous goal is to foster high-quality housing in safe environments. Implementation of this plan is devised first by finding and purchasing suitable family units specifically for rent (typically under the market value of apartment rental cost). Speak Life Worldwide focuses on providing such houses in good neighborhoods to afford renters the opportunity to improve their overall economic portfolio through taking part in our plan for economic empowerment. Speak Life Worldwide will partner with organizations and engage community resource to provide workshops and training for veterans in home and financial management. 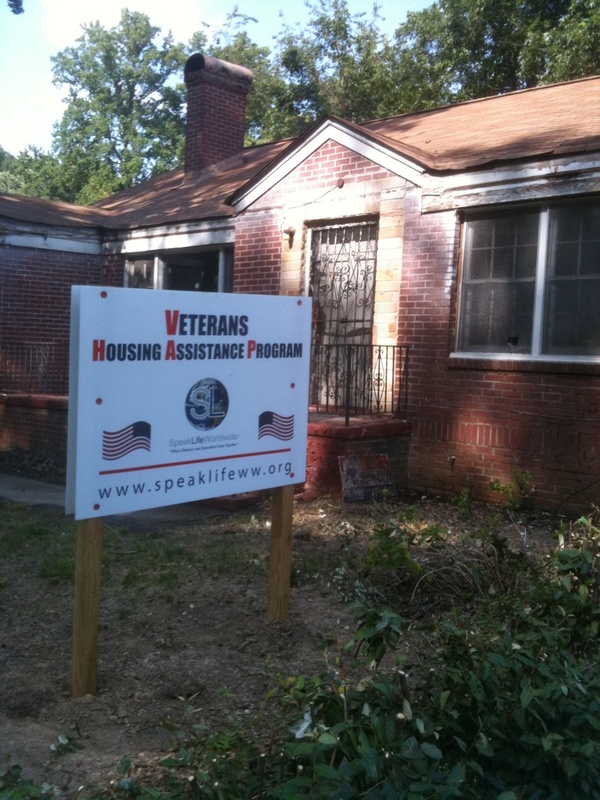 Donate Your Home or Property To Speak Life! 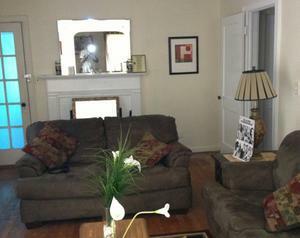 This finished property, is now a happy home for one of our veterans. 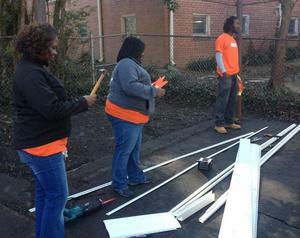 Volunteers from Home Depot lend a helping hand in restoration. This property was abandoned, a mess and serving no purpose. 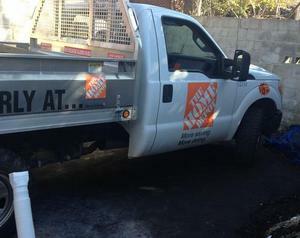 Home Dept truck arrives on the seen.